Spray inside of each canning jar with cooking spray. Place half a slice of bacon into bottom of each canning jar. In blender, place eggs, Gruyère cheese, cream cheese, melted butter, hot sauce and cornstarch. Cover; blend on high speed about 30 seconds or until smooth. Pour 1/3 cup mixture into each canning jar, making sure to leave at least 1/2 inch space at top of jar. Clean rim of each jar; top each with lid and ring; finger tighten rings (not too tightly). Place jars in bottom of sous vide container; fill with hot tap water according to sous vide machine’s manufacturer’s instructions. Set sous vide machine temperature to 172°F. 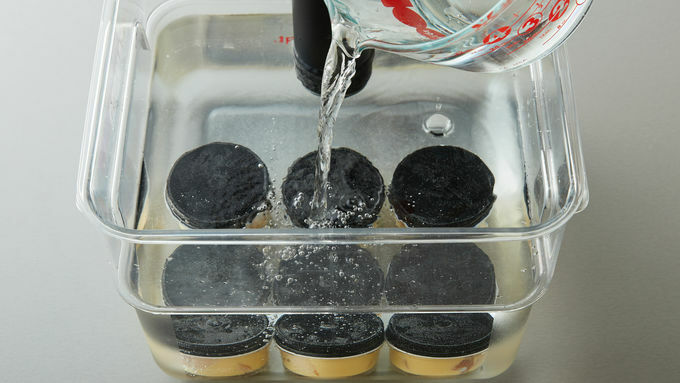 Once water reaches sous vide machine’s set temperature (172°F), continue to heat jars 30 minutes. Carefully remove jars from water bath. Remove lids, and slide thin knife around inside of jar. Turn upside down onto plate; shake jar gently to loosen egg bite. 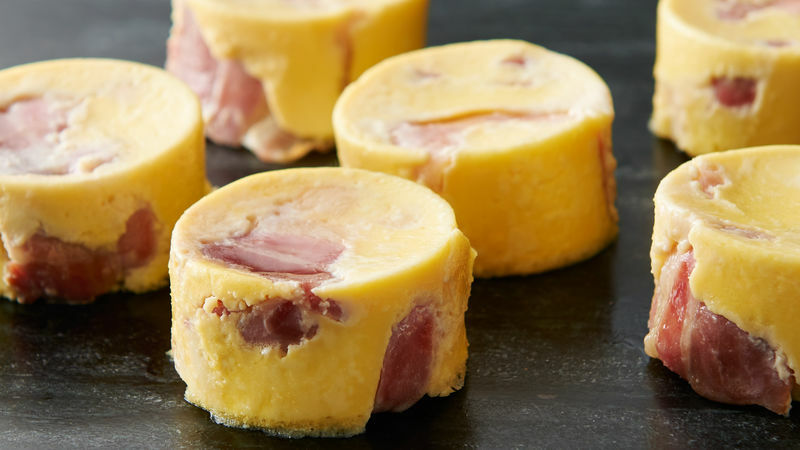 Eat immediately, or cool 10 minutes and store covered in refrigerator up to 4 days. To Reheat: Place egg bite on microwavable plate. Microwave uncovered on High 1 to 2 minutes or until egg bite is heated through (at least 165°F). “Finger tightening” the rings on the lids is a term often used in canning and is important for this recipe, too. If too tight, the air pressure within will not be able to release, and the jars will shatter in the bath. To finger tighten a jar, place hand on jar, and turn just until resistance is felt. Glass is sensitive to rapid temperature changes and can crack or even explode. 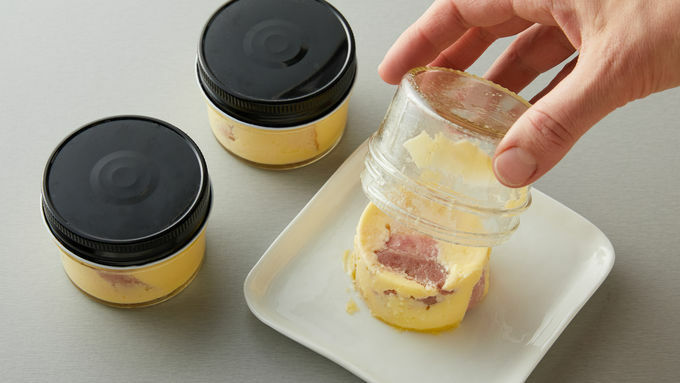 Placing the jars in the sous vide before the water is heated allows them to come to temperature gradually, lowering the chance of breakage. 4 oz canning jars are inexpensive to buy and handy to have in the kitchen. They can be used as storage containers or even serving pieces for things like ice cream, mousse or parfaits. We used an Anova™ Precision Cooker that clips onto the side of the container with an adjustable clamp when testing this recipe. This is an immersion, stick-type of sous vide machine. Follow manufacturer’s directions for your device. 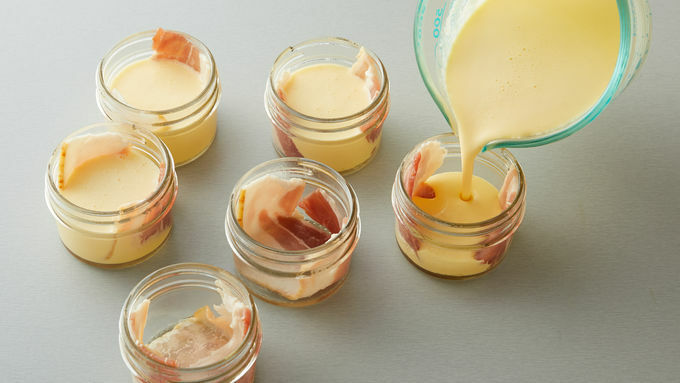 Timing on this recipe is dependent on the temperature of the tap water used to fill the sous vide container.